What is the first thing I should do after a fire? Call your insurance agent and submit your claim. He or she will provide you with information on securing your home, hiring a reliable restoration company, and more. How do I secure my property after the fire? Most restoration companies also provide board-up services to prevent possible theft. A proper board-up should include using 3/8″ plywood with 2x4s bolted from inside the dwelling over windows. The front door should have a secure lock. Can I inspect my house after the fire? Legally, only a licensed inspector like a structural engineer or industrial hygienist can determine the safety of a building. Besides, the risk of checking the fire damage yourself is too great. Call a professional. Do I really need professional clean-up if the fire was small? In most losses, cleaning the soot and smoke is the toughest part. Moreover, even small fires can cause major damage within minutes and leave lingering odors if not cleaned up properly. If you don’t act within a day or two of the fire, soot and smoke can leave permanent damage. Professionals have the tools and know-how to restore your home as fast as possible and mitigate the loss. What should I do with all the water that was used to put out the fire? Water can lead to more damage such as mold growth. Reputable restoration companies also extract the water from the damaged area as part of the fire restoration job. Can I stay in my home during the fire damage restoration process? This depends on the degree of the damage, your home’s layout, and your comfort level. As an alternate plan, talk with your insurance agent about off-site housing and staying at a hotel – these might be covered by your policy. How long will the restoration process take? The length of time varies on the extent of the damage.Additionally, local authorities and your insurance agent will also want to investigate the damage before the restoration company can start the clean-up. This is a very common question that does not have an easy answer. Learning about the cost of fixing water damage can help you manage your finances in this situation. 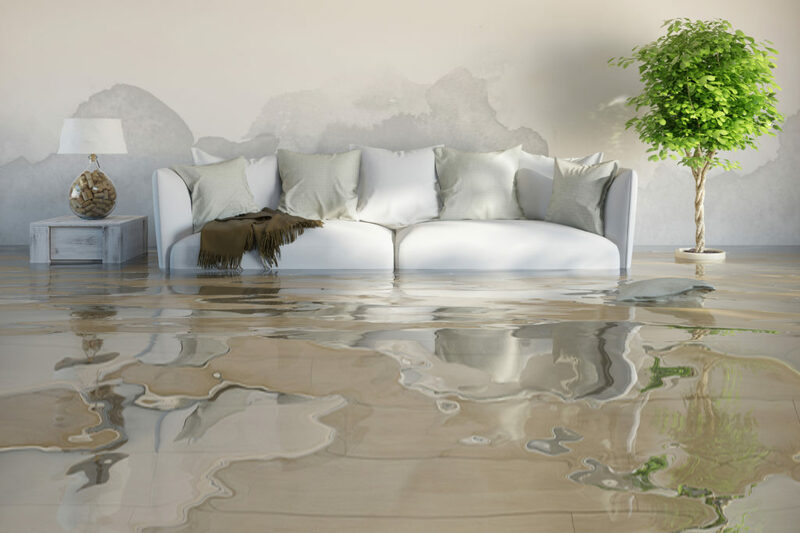 The best way to find a water damage restoration cost is to ask for an estimate from a professional restoration company. Even then, the answer is not simple. The restoration company must go to the property and investigate the damage. Statistically, the average cost for flood damage restoration is $2,700. A small, clean water loss will often be around $1,000, while a large, black water loss (such as a flood) can be $5,000 or more. These costs are just for making the property dry and safe (mitigation and restoration). These costs don’t include any reconstruction such as replacing drywall, painting, or floor covering. What does a water damage restoration company need to know before they can give an estimate? “Clean water” that contains little or no contamination. It could come from a leaking or broken tap, pipe or hose or possibly rainwater that came through an open window. It is the cleanest and safest water to handle and remove. In a clean water loss, a professional can often save almost everything that was damaged. “Grey water” has more contamination and could come from malfunctioning or broken appliances like washing machines and dishwashers. The increased contamination presents some health risks. Many things can be saved in a grey water loss, but not carpet pad. “Black water” is extremely contaminated and therefore requires the greatest care in handling. It typically comes from sewers, as well as from the outside – over the ground from rivers, streams or the ocean. Porous materials damaged by “black water” cannot normally be saved. The length of time the water sat affects the restoration costs. A clean water loss or a grey water loss will degrade to a black water loss over time, depending on the temperature. Also, the longer a water loss goes before it is restored, the more likely mold will develop, which may bring additional problems and costs. Mold can begin to grow in 48 hours after materials become wet. The size of the affected area – the total square footage of the water-damaged area and surfaces: floors, walls, and ceilings. The affected surfaces – costs are related to the different materials damaged: floor coverings, furniture, wall materials, etc. A loss on an upper floor will often impact the floors below. The extent of the damage – how much water is involved in the total loss. The type and amount of equipment needed to properly dry the property. The type and extent of the damage also determines what tools and equipment are needed to restore your property. Do all restoration companies charge the same rates? If the loss is covered by your insurance company, then professional restoration companies use a standard pricing system and prices will be very similar for the same amount of work. If the loss is not covered by insurance or if you decide not to file a claim, the restoration company may change the pricing to best fit the situation and your specific needs. Change smoke/carbon detector batteries and test the alarms. When Daylight Savings Time begins and ends, it’s a good idea to change your smoke and carbon monoxide detector batteries. This ensures the alarms don’t fail when you turn the heat on in your home. Don’t forget to also test the smoke alarms after change the batteries. Check that all fire extinguishers are in working order when you adjust the clocks each season. Have your HVAC system inspected, cleaned, and serviced by a certified HVAC contractor. Check and replace furnace filters with high-efficiency particulate air (HEPA) filters. Learn more HVAC maintenance tips. If you use space heaters, ensure there’s at least three feet of space around them. Don’t place fabrics on space heaters to dry, and turn heaters off when going to bed. Check out more space heater safety tips. If you’ve got a fireplace, hire a professional chimney sweep to inspect and clean your chimney. Keep flammable objects at least three feet away from the fireplace and install a mesh metal screen around it. Here are more fireplace safety guidelines. Halloween safety – Can’t wait to decorate your home and mastermind scary costumes for Halloween? Remember that Halloween safety comes first. Keep decorations away from open flames and other heat sources, and use battery-operated lights instead of candles in jack-o-lanterns. We strongly advise you not to use real candles for decorating your home, but if you do, here are essential candle safety tips. Outdoor fire risks – As leaves and other flammable debris build up around your home, make it a habit to remove them periodically. Prune trees and rake up leaves and twigs. Don’t store fuel in your home or garage. 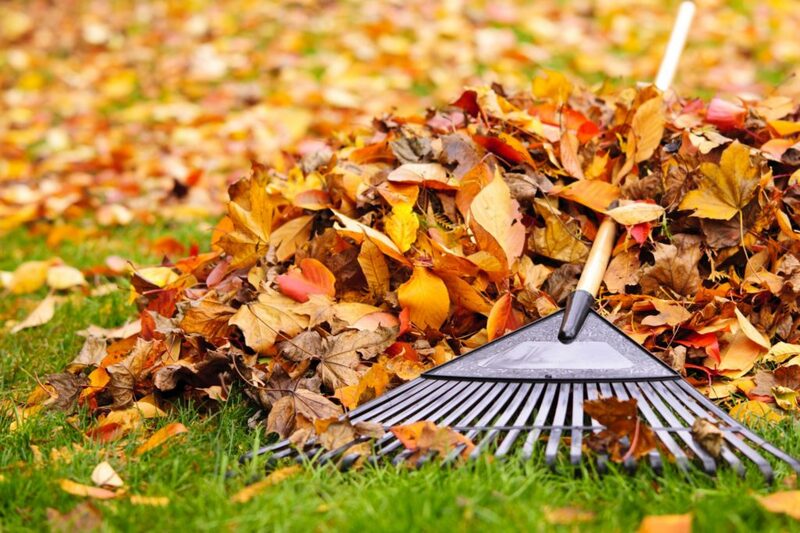 Keep your roof, gutters, and downspouts clear of debris and remove fuel from lawn mowers before storing them for winter. Create a fire escape plan and practice it regularly. Say a fire breaks out at 2 AM and your smoke alarms wake you and your family up – what do you do? This is when the fire escape plan comes into play. Designate an escape route for each area of your home and establish a meeting place outside. Practice escaping your home while staying low to avoid breathing in smoke. Also practice escaping through windows using emergency ladders. Follow these tips, and don’t let a fire ruin your fall. For professional smoke remediation or fire damage repair, contact your local PuroClean office.